Slowly pull the balloon away. What happens? When a balloon rubs against hair, electrons from the hair are rubbed onto the balloon. The balloon develops a negative from the extra electrons and the hair develops a positive charge because it lost electrons. As I said earlier, when it comes to charges, opposites attract! 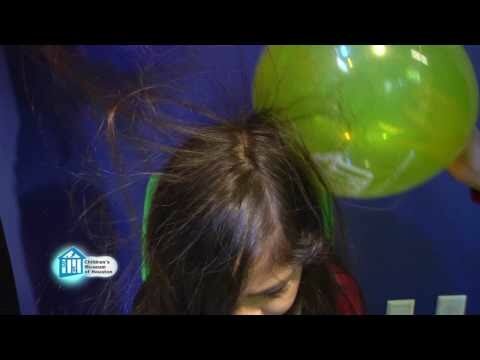 So the positively charged hair is attracted to the negatively charged balloon.